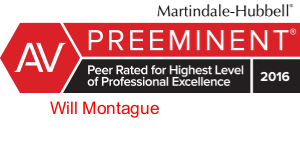 Montague Law is a business-focused law firm providing counsel in virtually all areas of intellectual property and business law. Our legal team has decades of legal experience representing businesses of every size. As a result, and by being entrepreneurs ourselves, we understand the challenges and demands faced by entrepreneurs, emerging businesses, and long-established businesses. If you choose to let us represent you, we will be your trusted legal advisors, helping you along every step of the way as you start and grow your business. Will founded Montague Law in 2010 with a vision to create a next generation law firm serving fast-paced businesses in the technology age. He is a former equity partner at two of the region’s largest law firms with twenty five years of experience and is recognized by Martindale-Hubbell and SuperLawyers. Laurie practiced with a large firm in the Washington, D.C. metro area and has spent over a decade in Lexington working with entrepreneurs and emerging technology businesses. She has direct experience starting and running her own enterprises. A registered patent attorney, David represents clients before the U.S. Patent and Trademark Office (USPTO) and the U.S. Food and Drug Administration (FDA). His practice consists of advocacy, strategic counsel, and litigation support. © 2011-2019 Montague Law PLLC | THIS IS AN ADVERTISEMENT | Sending an email or other online communication to Montague Law does NOT create an attorney-client or confidential relationship. Please do not provide any confidential information.